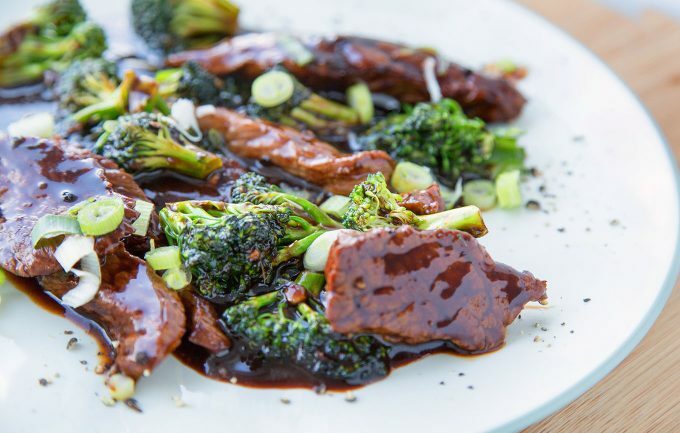 Try my My Asian Style Black Peppercorn Beef and Broccoli when you want delicious Asian Style dishes in your home. Don't order take-out make it yourself! 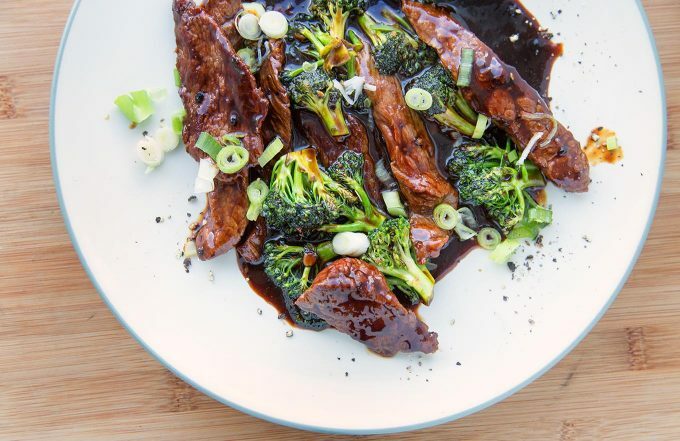 Creating delicious Asian-inspired dishes like this Black Peppercorn Beef & Broccoli is a lot easier than you might think. 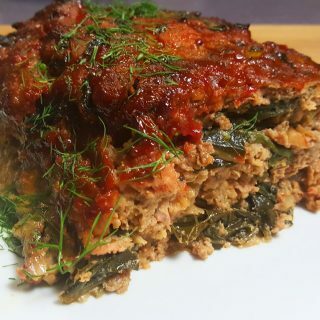 It’s simply about having the right ingredients in your house to create dishes that you would normally have to order fro your neighborhood Asian restaurant. Thanks to my new friend Kian Lam Kho I can now create all styles of stir fry in my own home. 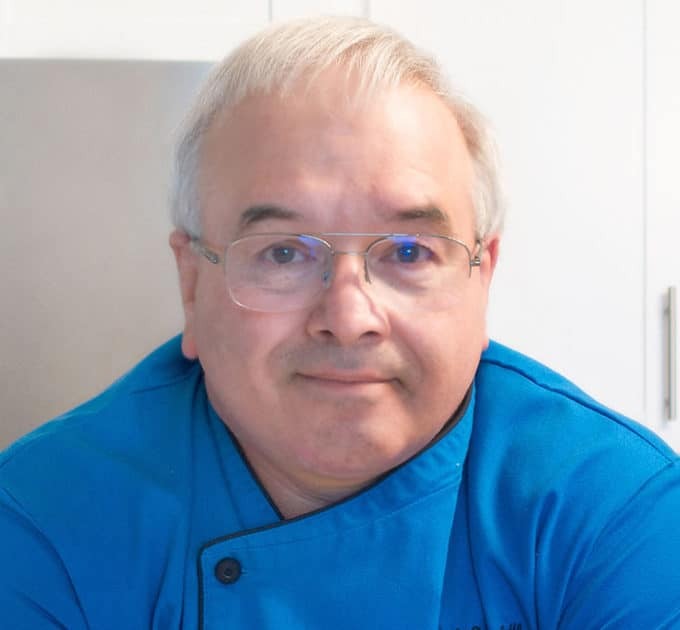 He so graciously sent me his amazing new cookbook Phoenix Claws and Jade Trees and with this easy to understand and use cookbook, I’ve now got the world of Asian cooking right at my fingertips. In Asian cooking getting your ingredients together (mise en place) before you begin is even more important because of the speed in which the dishes are created. So make sure to have your side dishes ready before you start putting together this dish. Rice or any type of Asian noodles would be perfect with this dish. The sauce is ah-mazingly flavorful and would go well with either. And if you’re not real fond of broccoli, try substituting asparagus or any other type of stir fry veggies that you like. 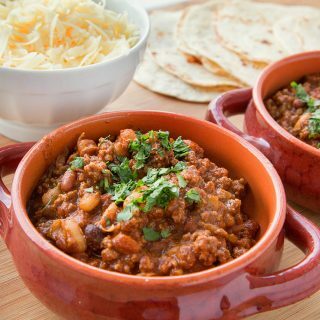 You could even change up the dish with chicken instead of beef, creating a few delicious dishes from this one basic recipe. Be creative and be a star in your kitchen! 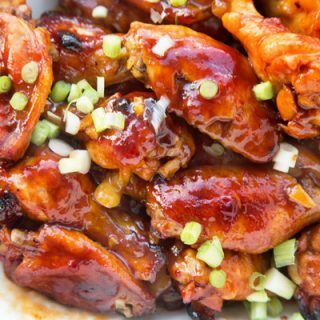 It is important to have the right ingredients for Asian sauces on hand, and you can use them over and over again in your stir-fry and other dishes like my Chinese Sticky Wings and Dan Dan Noodles with Shrimp. 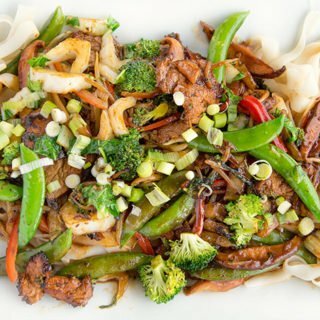 Pretty soon Chinese take-out will be a thing of the past, and controlling the ingredients that go into your food will not only be better for you but more delicious. Combine all the ingredients for the velveting mixture in a bowl and mix well. Add sliced beef to mixture, mixing well and allow to marinate for 20 minutes. 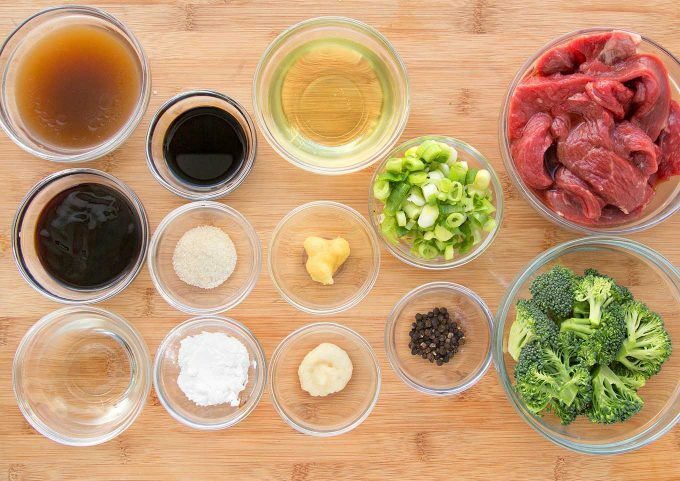 Mix sauce ingredients together in another bowl. Heat vegetable oil in a wok or large saute pan over high heat until it begins to shimmer. It should be about 350 degrees. Add the beef to the pan and quickly fry it for 1-2 minutes until beef is almost done and the exterior has turned nicely brown. Remove the beef from the pan and place over a wire grate to allow it to drain. Pour the oil out of the pan, reserving 2 tablespoons. Rinse the pan with water, getting rid of any excess residue by scraping the pan. Dry pan and return to heat. Add the 2 tablespoons of oil back to the pan. Add in ginger, garlic and scallions(white). Saute for about 45 seconds until fragrant. 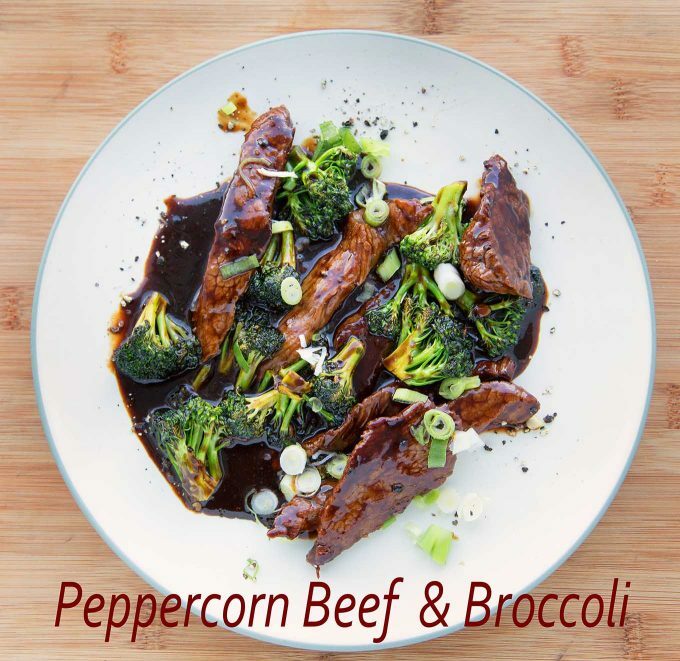 Return beef to pan along with broccoli florets and peppercorns. Saute for about 1 minute then add in the sauce mixture. 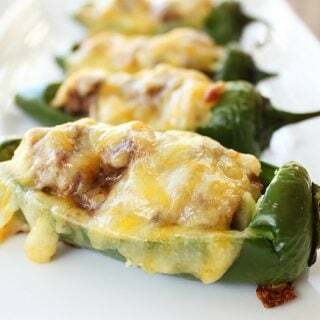 Previous Post: « Chicken Taco Cup Salad (Fun Size) Recipe – Easy and Delicious! 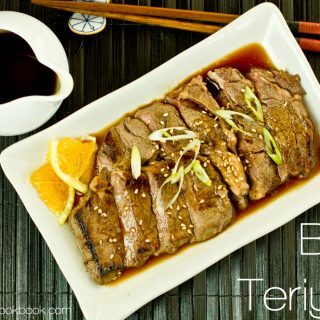 I love Asian beef dishes. This was the bomb! This looks so so much better than any beef with broccoli take-out I have ever had. Excited to give it a whirl, Chef! thanks Maria, it was one of those dishes that even surprised me at how good it was!